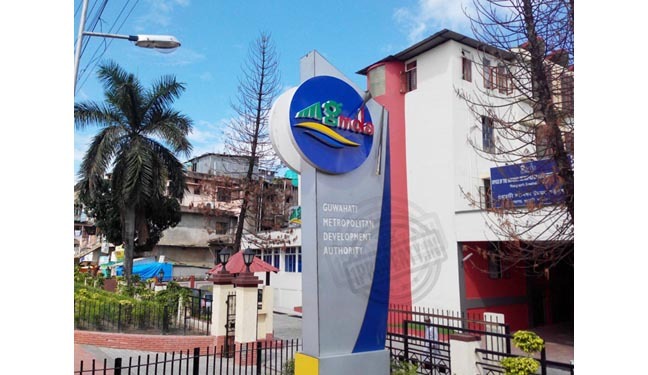 Ashok Singhal has been appointed as the new Chairman of the Guwahati Metropolitan Development Authority (GMDA). Singhal took charge of the office. He said that he would explore the feasibility of preparing a master plan for expansion of Guwahati. Singhal said that after the capital of Assam was shifted to Guwahati way back in 1972, the population kept increasing over the years. But the expansion of the city has not taken place which is why the city is facing major problems, including traffic congestion. He also pointed out that since there has been no expansion a large number of people are living on the hills, which, in turn, results in landslides and clogging of the drains. He also stressed upon the need for preparing a comprehensive plan to set up a satellite township to ease the population pressure on Guwahati. A satellite township should have the basic amenities like good transportation system, educational institutions, hospitals, etc. He pointed out that most of the major cities of the country now have satellite townships to improve the civic amenities and under the present circumstances, Guwahati must be expanded with proper planning. He also assured the implementation of the ongoing schemes of GMDA.